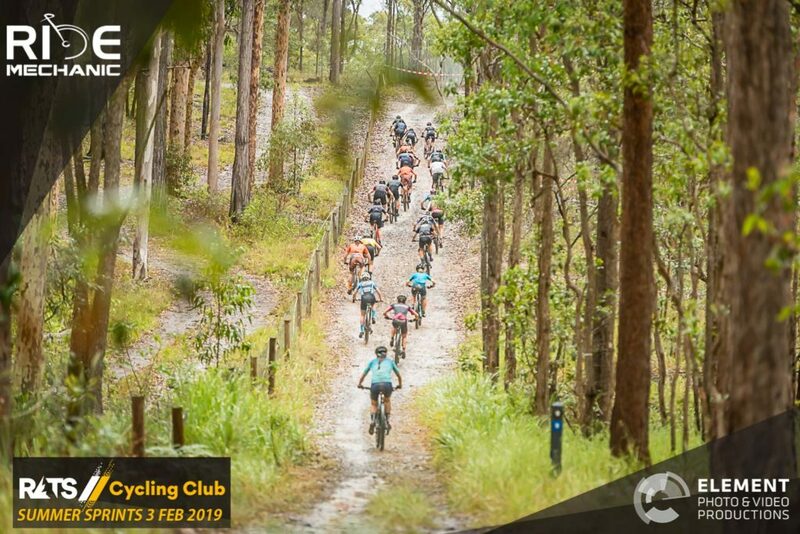 Our 2019 mountain bike season is officially underway. Round one of the RATS Summer Sprints series took place at Underwood Park on Sunday the 3rd. Instead of doing our own write-up of the epic event, we charged Mary Diggins Mitchelhill the task of giving us her take on the action. 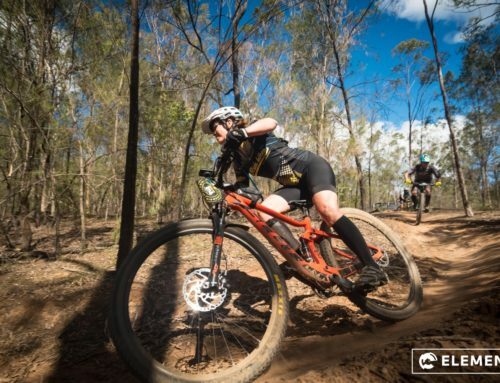 Mary is a long-time participant in MTB events across South East Queensland, competing in the SEQ Gravity Enduro’s, RATS Summer Sprints and range of others. This event was particularly special, as it was her first since the birth of her daughter, a mere 10 weeks ago! So without any further adieu , take it away Mary! Round one of the RATS Summer Sprints at Underwood Park. 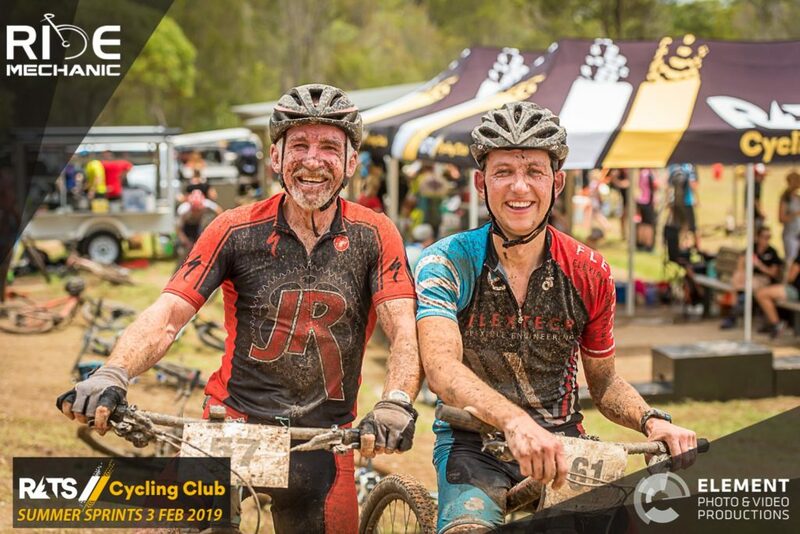 My Sunday went from searing heat to puddles of mud and back again – so a standard day of MTB racing in the Queensland summer. 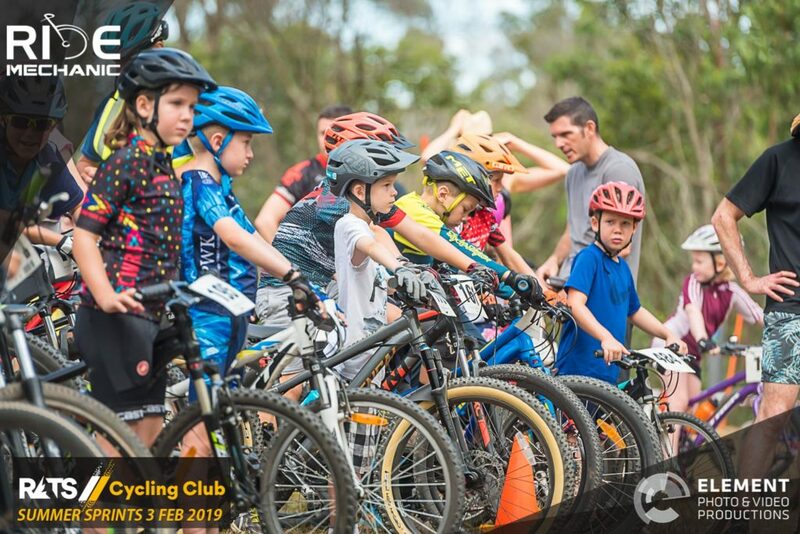 I was at round one of the RATS Summer Sprints – held at Underwood Park on Sunday February 3. This park has been home to many RATS races over the years, and I’ve entered quite a few along the way. It’s my local track and I’m a proud RATS member too! 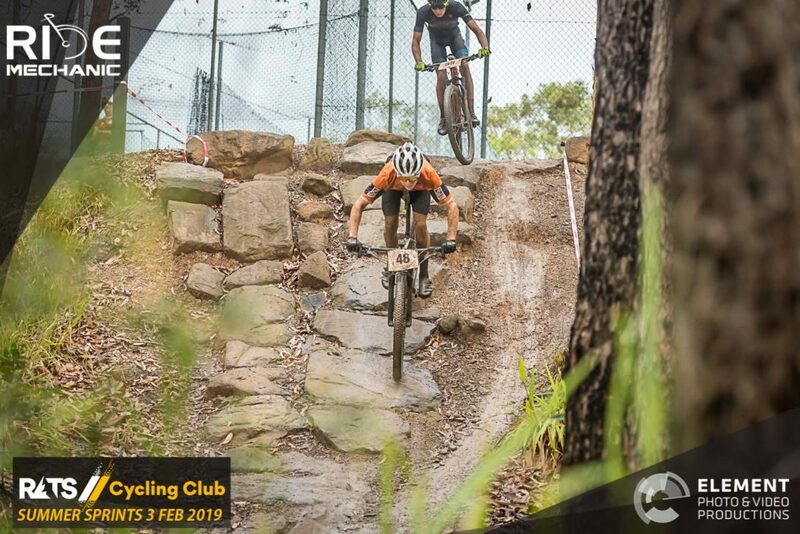 The park has evolved considerably and thanks to council funding in more recent times, the track is a machined fun and flowy loop, with a couple of gap jumps and rocky features to challenge those who like to hit A-lines. The rocky trails made for a challenging race. Having round one in early February gave me enough time (I felt!) to enter my first race back after having our first child in November. Ten or so weeks post-birth meant my fitness was lacking BIG time, despite riding (gently!) up until a week or so before our daughter’s birth, and getting pedalling again (verrrry slowly!) from around four weeks after her arrival. I had always raced B-grade in this series, and came close to entering A-grade at one stage a few years back. 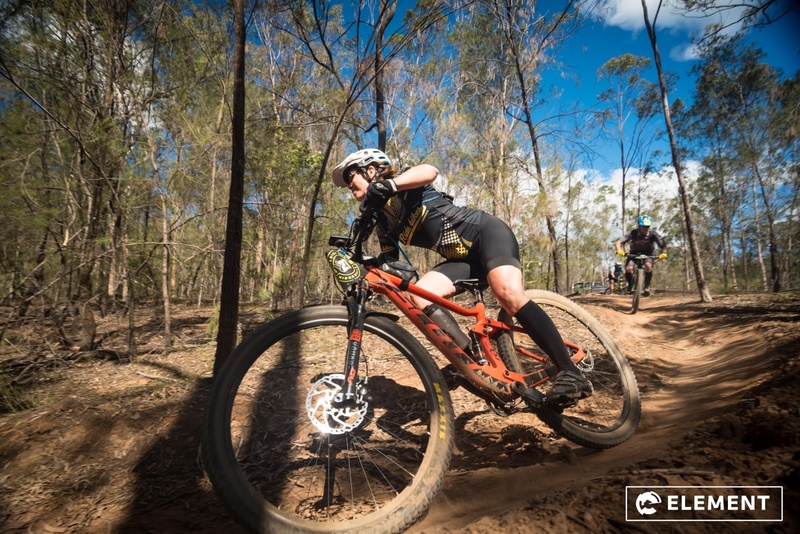 But life threw some curveballs and fitness slipped away a bit, so I found some success in riding a few local Gravity Enduro races instead (cause I could push my bike up the hills!). But this year I decided to go back to my roots and enter this race. 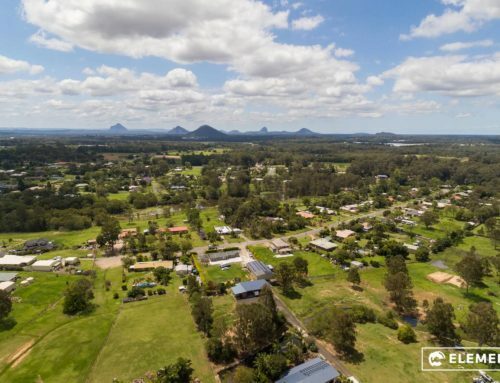 There was no doubt I was going to pick C-grade, just have some fun at the back of the pack – and ensure I didn’t give myself a hernia or heat stroke attempting to keep up! Not even the rain could hold the spectators back. There had been a couple of light showers in the lead up to the race, which is exactly what the track needed to bed down those pesky sandy corners and create some “hero dirt”. But the day’s races started off with blue skies and bright sun, helping to draw an amazing crowd: 270 riders all up! I stopped to look around race base at one stage, and it was a sea of bikes and riders of all ages wearing every possible colour on the spectrum! The vibe was awesome too! For me (and many others) it was also a chance to catch up with fellow MTBers after the holidays and, for us, to show off our new addition. My husband Iain came to support from the sidelines with our daughter who got passed around for cuddles. The MTB community is like family. I know I’m not the only one that has made lifetime friends through this crazy sport we all love. The kids’ races started the day off. 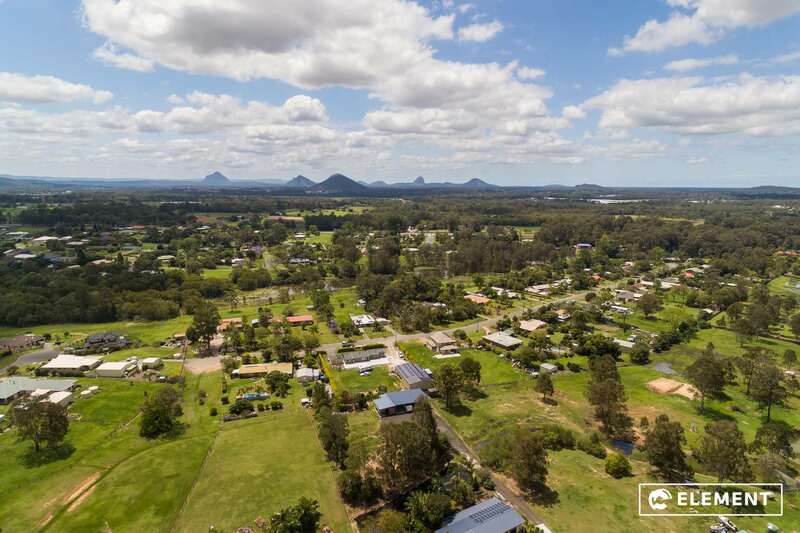 It’s always so awesome to see how great the A and B-grade girls and boys are. Some amazing talent among the riders that I’m sure will grow even further over coming years. It’s so exciting to watch these kids grow up, and before you know it they’re in the adult categories whooping our behinds! These little ones are the future of the sport, so keep an eye on them! I love watching the really small kids too, on their tiny-wheeled balance and pedal bikes. These races are always a good work out for the mums and dads who run alongside the littlies, supporting them around the course. I can’t wait to enter my daughter in her first RATS race at Underwood park! (I do hope she likes bikes, although she may not have much choice. And she has her first bike already, thanks to our awesome MTB friends!). 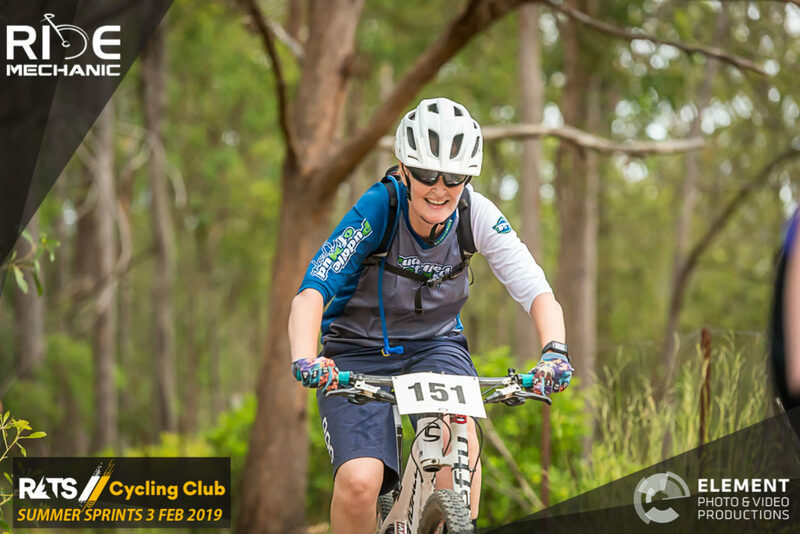 Over the past few years, the club has focused on female participation – creating a women’s only race, development programs, and running the lower grade women in a wave on their own in races. 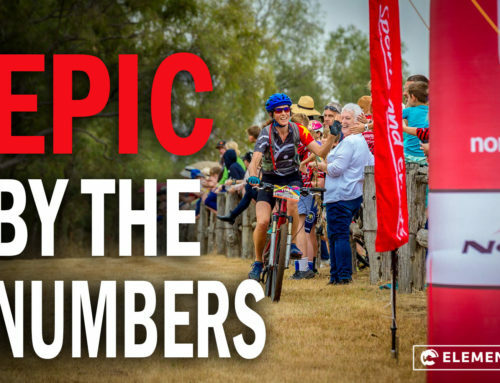 This not only instills confidence in the newer female riders, but for me it makes the event feel more like a girls day out on the trails, rather than a race. 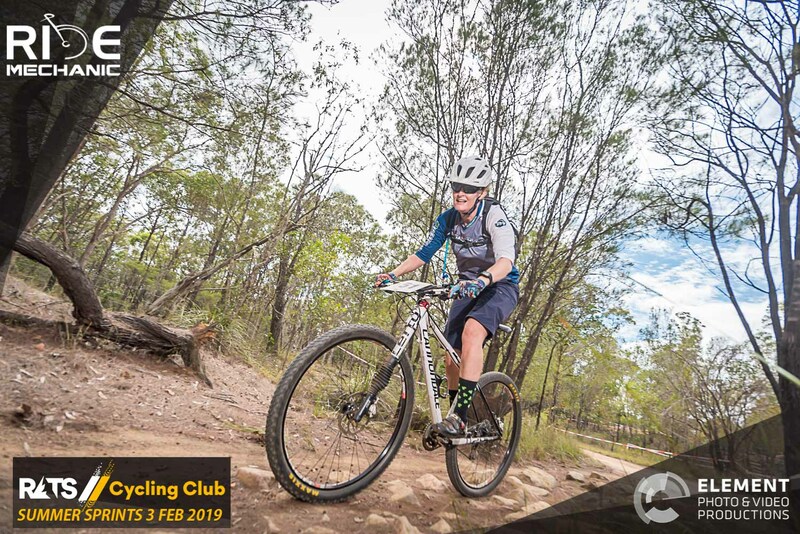 Speaking of the race, B and C-grade ladies were summoned for a pre-race briefing, then the countdown commenced and off we went up the fire road to a clatter of pedal and gear clicks. Competitors set out to tackle Underwood Park. The seeding sorted itself out as we pedalled along, and as we advanced up the climb, more and more ladies pedalled past me. I didn’t have the fitness or racing gusto to push harder, so I slipped in about mid-field as we hooked into the first single-track. I found I had more pace on the downhills and at times passed a couple of riders, but as soon as pedalling was involved they caught up and passed me. The whole race was a series of tick-tacks with a couple of riders! I did have one of those perfect overtaking moments when I was on the back wheel of someone as we headed down off the oval. Knowing an A-line jump was coming up, I sussed out that she was going to take the B-line, so I jumped and it worked a treat. That allowed me to stretch a good lead a bit further with another A-line choice on a climb further down (only to move aside at a later stage and let her pass on the fire road climb!). If you can do the A-lines, those overtaking moments make a race more fun and memorable. Two-and-a-half laps later, the rain started just as I crossed the finish line… completely stuffed! It was the most exercise I’d done in about a year. These short-course races always get the heart and lungs pumping, so I knew it wasn’t going to be easy, no matter how “non-racey” I had planned to be. Mary charging down the trails. I’m so glad I did it! I’m so glad I was ABLE to do it! Now my ultimate goal is to stand on a podium sometime in the future holding our gorgeous daughter. Someday, hopefully. 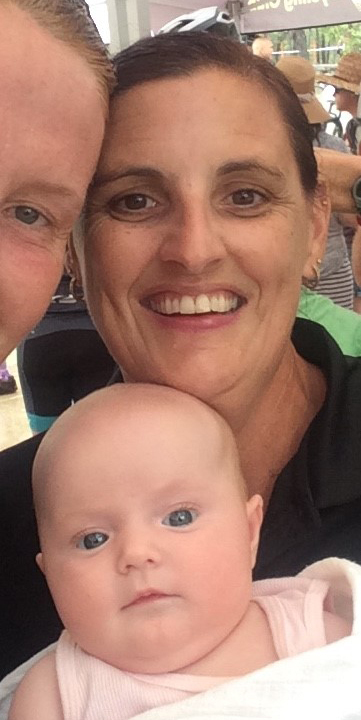 Baby Erin with MTB friend, fellow RATS member and volunteer, Lauree Aves. 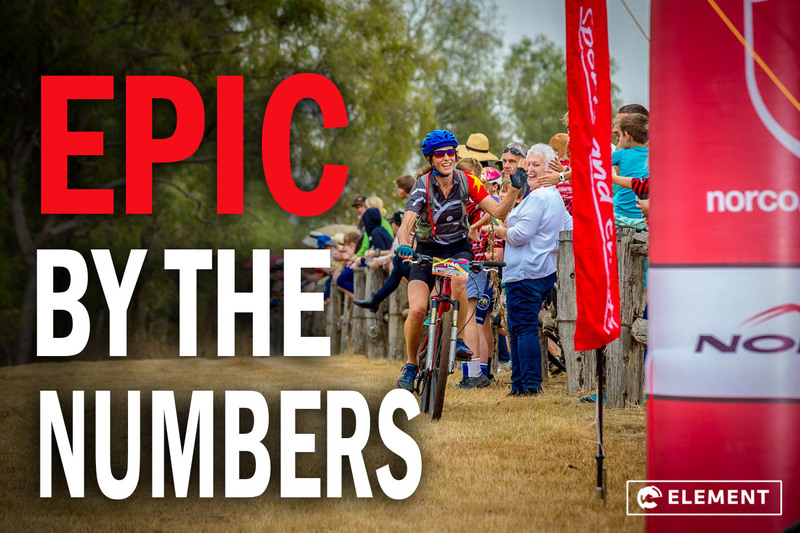 The support, encouragement and even banter makes these races such a huge success. The RATS always know how to put on an amazing event. 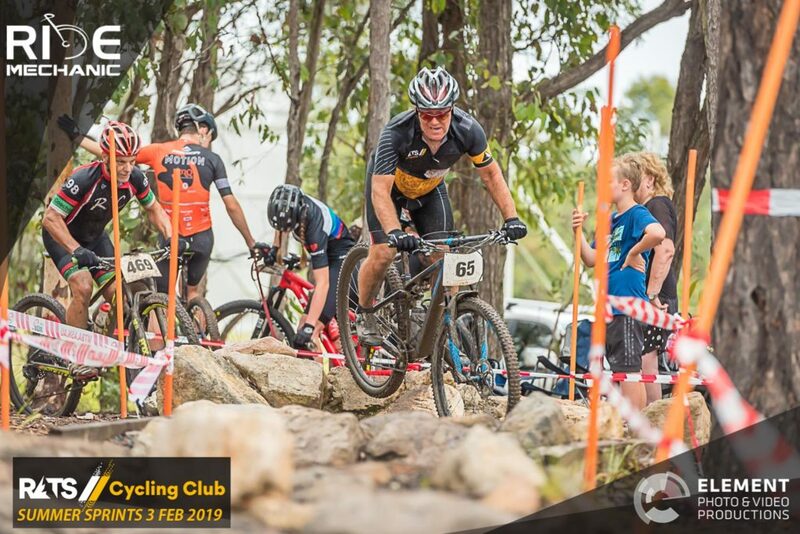 The next race in the Summer Sprints series is at Karingal Scout Camp, which is a loop made up of a series of old-school tracks. Quite different to Underwood Park. 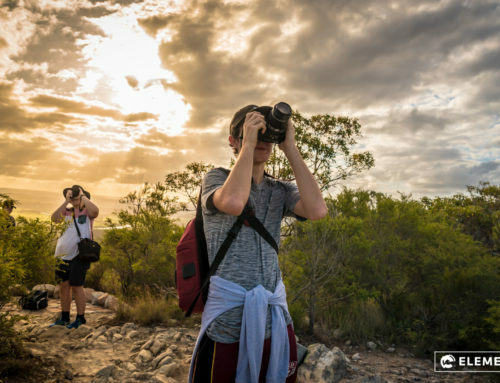 If you’ve never raced before but have always been curious, these races are fantastic for beginners. They are also great for seasoned racers too, adding that chance to build on fitness, and to race against riders in more elite grades. 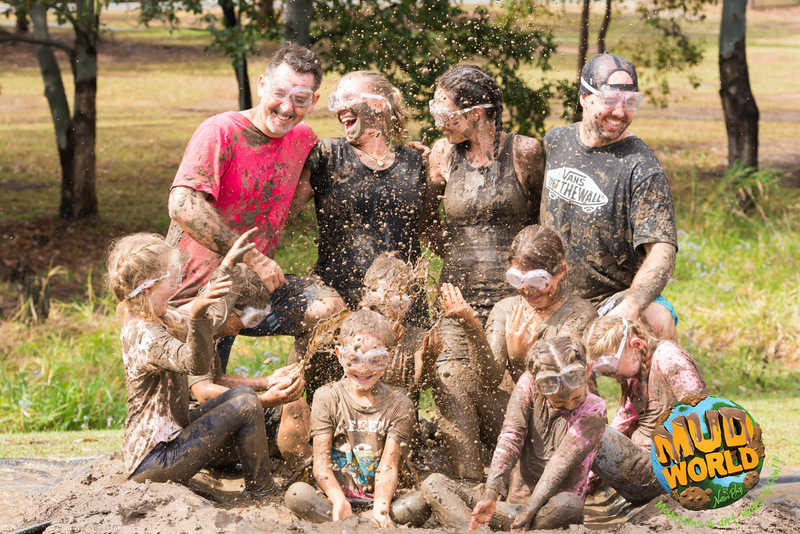 Can’t wipe the mud off these smiles. For series information, check out RATS Cycling Club. 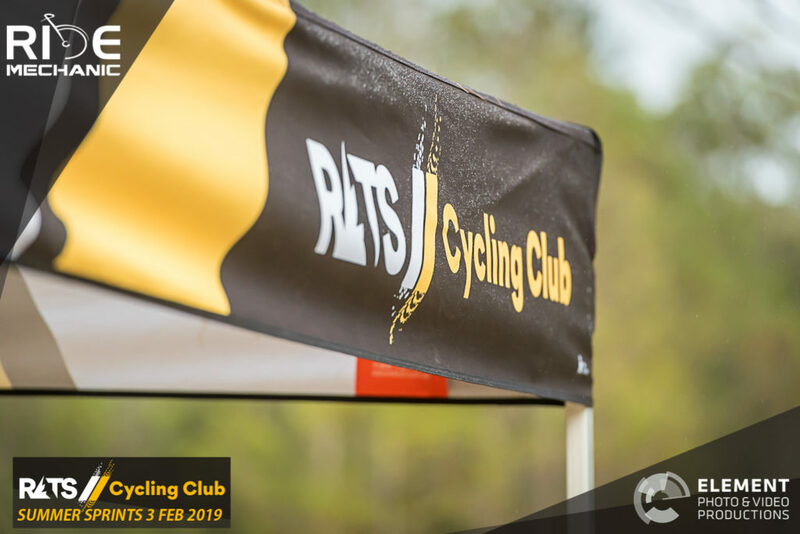 All the event photos are available from the RATS Cycling Club Facebook page, and HD versions are available for purchase from the Element photo library. 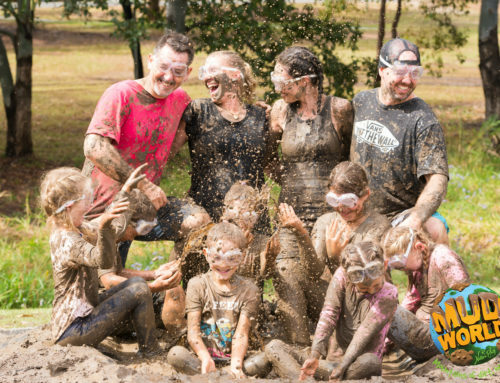 And if you saw any “Puddle of Mud Designs” jerseys on the awesome girls and women, don’t be shy in checking out my website.